The winners for the dubious distinction of causing the most food borne illnesses for 2016 is out. According to preliminary data recently published in CDC’s Morbidity and Mortality Weekly Report, Campylobacter and Salmonella caused the most reported bacterial foodborne illnesses in 2016. The finding is from the Center for Disease Control and Prevention’s Foodborne Diseases Active Surveillance Network (FoodNet) report, which provides the most up-to-date information about foodborne illnesses in the United States. Salmonella typhimurium infections, often linked to beef and poultry, decreased 18 percent in 2016 compared with the average for 2013-2015. The continuing decreases in Salmonella typhimurium may be due to regulatory action to reduce Salmonella contamination in poultry and vaccination of chicken flocks by producers. Reported Yersinia, Cryptosporidium and Shiga toxin-producing E.coli infections increased. According to the CDC, those increases are likely due to newly available rapid tests that make infections easier to diagnose, rather than to a true increase in illness. “This report provides important information about which foodborne germs are making people sick in the United States,” said Dr. Robert Tauxe, director of CDC’s Division of Foodborne, Waterborne, and Environmental Diseases. 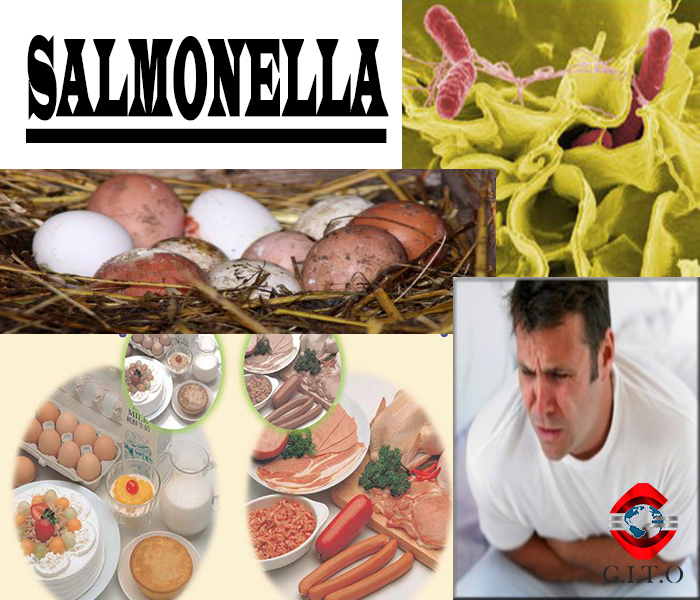 CDC says foodborne illness remains a substantial public health concern in the United States. Previous analyses have indicated that the number of infections far exceeds those diagnosed; CIDTs might be making those infections more visible. However, the shift to CIDTs poses challenges to monitoring foodborne illness trends because changes in the number of new infections could reflect changes in testing practices rather than a true increase in infections. For this reason, comparisons of the 2016 data with data from previous years may not accurately reflect trends. Estimated infections this year and in years past are accurate, but cannot be directly compared because the total now includes results from diagnostic tests. FoodNet is developing new tools that will allow it to continue to track the needed progress toward reducing foodborne illness. We at G.I.T.O’s offices take full care in preparing the appropriate analysis needed to discover bacterial foodborne illnesses, and work with a continuous urge to finalize new performance standards for detecting harmful bacteria in Food Inspection procedures specifically chicken parts and ground poultry.